Hello friends, family, and even enemies! Up until today I was very sad about something. And that was being a lesbian with no gaydar. Yes, it's true...NO GAYDAR!!! 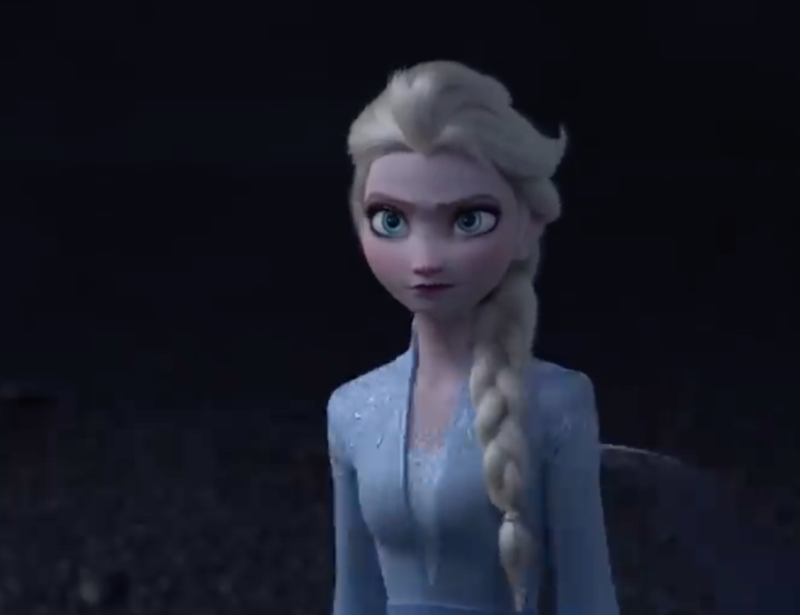 But then all of a sudden today, as I watched the Frozen 2 teaser trailer, it happened. My GAYDAR kicked in and was hooting like crazy (for some reason my gaydar sound is that of an owl). There was Elsa, and by golly, she loud and proud!! My photo from pride lol. Wanna know how I know? I'll tell you. First of all, like most lesbians, after coming out she went to the beach and stared at the vast sea just thinking about her new life as a gay. Secondly, she ran from her past. She wanted to get as far away from being straight as possible. LOOK AT HER RUN. Third of all, remember this dress? And in its place? Yep. Pants!!!! Now I know there are girls who like girls that also like to wear dresses, and also some straights that wear pants... butttttt, Elsa is a lesbian in pants! And in addition to the pants, the other half of her outfit is a POWER BLAZER. Bette Porter, is that you???? Not to mention she looks a little angry. That's probably because she's mad that while her friends are supportive, they keep saying they are thinking of "becoming lesbians" too because they are soooOOoo sick of men. So yeah. Is Elsa a lesbian in Frozen 2? Yes, she most definitely 100000% is (I think). i’m assuming whoever did this has the autumn powers ??? i guess??? anyways, that looks like a heart. they’re in love. elsa is a lesbian.